We’re still focused on iOS 12 in 2019, as the iOS 13 release date is likely to be five months away still. Apple will dole out smaller changes in the meantime. The iOS updates are generally positive. We’ve seen 70 new emojis, eSIM support and Group FaceTime launch as part of iOS 12.1 around the same time the iPad Pro 11 got here, and that’s in addition to all of the iOS 12 features launched in September. Apple has made its mobile operating system stable competitive in the wake of Google’s Android Pie update and last year’s Google Pixel 3 launch. 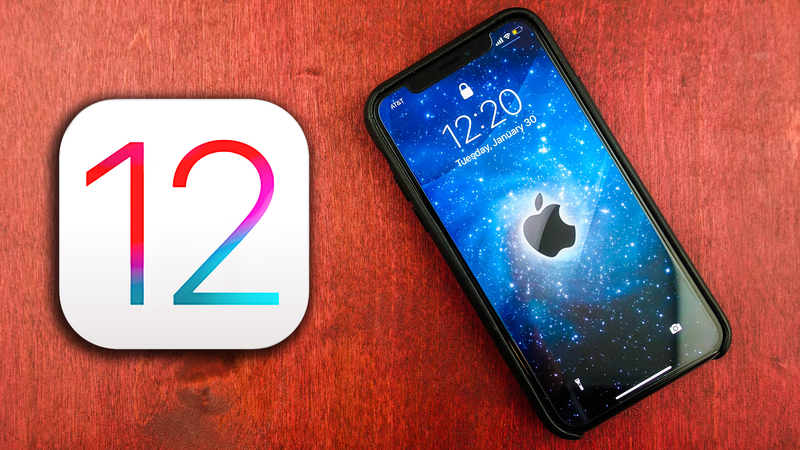 Here’s everything you need to know about the iOS 12.2 update that’s coming soon and iOS 12 in general, whether you’re upgrading an older iPhone (which will be faster), or getting it out of the box with the new iPhone XS, iPhone XS Max or iPhone XR. On October 2, Apple announced that more than 70 new emoji were launching with the iOS 12.1 developer beta 2. Get ready for red, gray and curly hair options, as well as bald people, according to Apple’s official press release. Softballs, skateboards, and frisbees are here for alternative sports, while new animal and food emojis include kangaroos, lobsters (sometimes a food, always an animal) bagels, and cupcakes. First, Group FaceTime for up to 32 users is here. To test it out, however, you’re going to have to pair up with people who have iOS 12.1, so tell them to upgrade. Second, Apple has improved the bokeh (background blur) feature in portrait mode on the iPhone XS and iPhone XS Max. Before you could only adjust the blur after a picture was taken. Now, with iOS 12.1, you can also adjust the blur in real time, as you’re snapping a photo. This helps you better frame your portrait photos. Third, eSIM iPhone support is live with the proper setup menus. But there’s a catch for setting up the simulated dual-SIM – you’ll have to wait for your carrier to start supporting the feature, which may happen on the official iOS 12.1 release date. This makes your existing iPhone and iPad more reliable, and your older devices can be used by family members, or will be more sellable – they don’t have to sit in a drawer because they’re too slow. Like Animoji, this is a feature for newer iPhones in the X lineup as it requires Apple’s TrueDepth front-facing camera. As soon as a security code is sent to your device as a text, it’ll automatically pop up within the suggested words in the keyboard interface. All you have to do is tap it. It makes life just a little easier when you’re locked out of Dropbox. Face ID on iOS 12 supports more than one face within the Setting menu labeled ‘Face ID & Passcode.’ Look for the ‘Set up an Alternative Appearance’ sub-menu to add a second look. Sure, Tile is a handy gadget, but getting to the slow app is a pain when you’ve lost your keys. An integrated Siri is a game-changer for both Tile and our peace of mind. Siri Shortcuts go far beyond this example. Apple allows for all sorts of formulas. The app can suggests coffee orders from the place you always order from, and nudge you to message contacts to tell them you’re running late. There’s also Kayak-based flight information you can call up via voice. By pressing the add to Siri button, you can then say “Travel plans” and Siri will read back information such as your hotel address. Apple’s IFTTT-like Siri Shortcuts app launched alongside the final iOS 12 software. However, not all shortcuts will be found in the new app. Some companies, like the aforementioned Tile, will host shortcuts within their own app, so look out for that. Update: Apple has delayed the launch of iOS 12 Group Notifications, according to release notes indicating that it’ll come out this ‘fall’. To us, that sounds like an iOS 12.1 launch – like Apple Pay, Apple Cash, AirPlay 2 and other features didn’t make it live on day one in previous operating system updates. People can drop in and drop out at any time. The interface is filled with tiles that can expand, and ‘the roster’ along the bottom for everyone else in the Group FaceTime chat. When people start to speak, their window gets bigger, even if they’re in the bottom roster of participants. It works on iPhone, iPad and Mac, and you can even answer on the Apple Watch and HomePod with just audio. Animoji is coming to FaceTime and Group FaceTime. You’ll of course need to update to iOS 12 and an iPhone X, iPhone XS, iPhone XS Max or an iPhone XR to make that magic happen. Screen time is Apple’s way of limiting your iPhone usage – calculating how much time you’re spending on apps, which apps you use the most, and which apps are sending you the most notifications. Screen time doesn’t lie. For those without self-control, Apple has created app limits. You can set your own limit, with a notification letting you know when time is almost up. A ‘Time is up’ message will display when you’ve reached your self-imposed-Siri-assisted limit. The best part? Setting limits for your kids uses Family Sharing, so you can manage it all remotely from your parental device – no need to get hold of your 12-year-old kid’s phone to execute on these new iOS 12 controls. Apple has expanding its Do Not Disturb capabilities with a cleaner ‘Do Not Disturb During Bedtime’ mode. It’ll silence not just the notification delivery sounds, but also the visual notifications clutter that can distract you when you’re trying to sleep. The lock screen remains clear until you unlock your iPhone in the morning. You can allow certain apps to break through, just like with DND mode right now. Apple refers to these as critical alerts, and they’re opt-in. We really like the solo DND notification hanging out on the lock screen. It’s peaceful without distracting visual clutter at night and it reminds us that DND mode is on. All notched iPhones don’t have the DND icon at the top, so it was always hard to tell before iOS 12. Instant Tuning is an iOS 12 feature you’ll love if you’ve ever gotten a notification from an app you always seem to dismiss (HQ trivia, breaking news alerts, etc), but don’t have time to turn off future notifications in the many submenus of Settings. Apple is allowing you to control individual app notification profiles right from the lockscreen, without making you leave what you’re doing. Deliver Quietly is an option within Instant Tuning, and it’ll allow you to choose to have notifications delivered silently Notification Center by default so you’re not interrupted by alerts on the lockscreen. It’s a nice in between option. Siri helps clean up your messy lock screen with notification delivery suggestions based on how you interact with notifications. Siri will understand which notifications it should deliver prominently and which ones to send to Notification Center. It’s like iOS 12’s version of ‘clean up your desktop’ system nudges. ‘Measure’ is getting its own AR app. It uses the iPhone’s and iPad’s sensors to measure objects in front of you, including suitcases, as shown in the first iOS 12 demo. All it takes it just tap-and-drag along the edges of the object on the screen. It also automatically detects the approximate dimensions of a photo – we’ve used it to buy a photo frame when we couldn’t find the old-fashioned tape measure. iOS 12 to the rescue. Voice Memos has come to iPad (as well as macOS), and it’ll get iCloud support, long overdue changes. Now you won’t have to AirDrop conversations between devices in order to listen back. It’ll also be easier to assign names to voice clips thanks to an overhauled Voice Memos redesign. Express Cards with power reserve ensures you’re not stranded outside of a train station or a dorm room because there’s still some low-level power in your phone. This is one of our biggest fears for users who routinely rly on NFC. Apple solves this, and though there’s not enough power to give you visual feedback, when you touch your dead iPhone to an NFC-equipped terminal and you’ll get a haptic response. And like magic, it works. Just don’t expect this new feature to work with Apple Pay. That requires Face ID, so you’re going to have to possess a powered-on smartphone for that to work. For 12 and 13, iOS 12 fixes some irksome features we hated about iOS 11. They’re the kind of problems only first-year iPhone X users will know about. Lego demoed a four-player game at WWDC in June, pledging that it was in when it came to Apple’s “creative play possibilities.” Players were involved in building up an AR town. It was like The Sims was reimagined for the future. Second, it’s the end of an era for our how to scan a QR code from your iPhone and iPad guide. The default camera in iOS 12 makes QR code reading automatic. The iOS 12 Photos search capabilities have also been broadened to let you use multiple search terms at once. Seeking “dog, animal” should weed out all of your gourmet hotdog results (this is a real problem we just tested at TechRadar). A new tab ‘For you’ is a part of the iOS 12 Photos app, and it’s filled with personalized suggestions on how to improve and share your pictures. Sharing has gotten smarter, letting you share at full-resolution and suggesting who to share these photos with. Share back suggestions is a neat feature that lets you send photos to a friend, and it uses machine learning to poke them to send photos they took to you. Bonus: iOS 12’s photo sharing features uses iMessage’s end-to-end encryption. This may be a prelude to the iPad Pro 2018 that’s rumored to include Apple’s TrueDepth camera for Face ID, Animoji, and Memoji. iOS 12 will run on all devices that have its 64-bit chipset. It’ll work on the iPhone 5S and newer, while the iPad Air and iPad mini 2 are the oldest iPads that are compatible with iOS 12. That’s means this update is supporting 11 different iPhones, 10 different iPads, and the sole iPod touch 6th generation, still clinging to life. It’s the broadest support for a software update Apple has ever offered, and this is one of the biggest advantages Apple has over Android phones. Apple’s official weather app contains new messaging that indicates air quality in cities. This is where Sunny, Cloudy, and Partly Cloudy messaging usually sits. iOS 12 puts it in a spot where you’ll see it more regularly, as opposed to a separate air quality app. The forecast New York City as of writing this, for example, tells us that the area has ‘Unhealthy Air Quality for Sensitive Groups’. People with asthma therefore may want to stay indoors. First, the developer beta launched at WWDC and got more frequent refreshes, but it was early software. You have to be a registered Apple developer, which costs $99 for the annual membership. It’s for people who like to tinker with Xcode and make apps. Third, the final software, meant for everyone, launched on September 17. There’s no need to jump through hoops to enroll in a beta. iOS 12 is now here in its final form, right in time for the iPhone XS release date. That’s a wrap for new iOS 12 features.